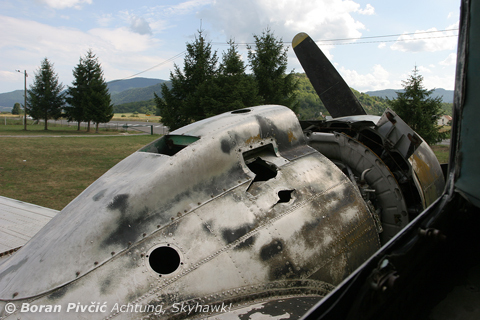 Dakota Update – 71255 at Otočac (LDRO) | Achtung, Skyhawk! 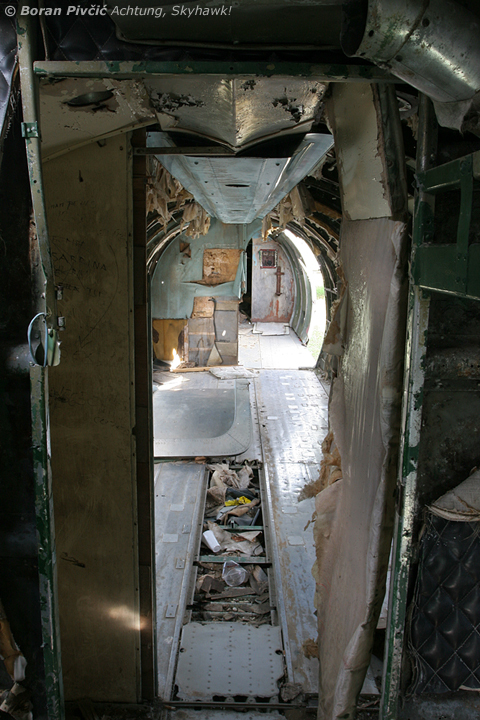 Inside, the situation is even worse... up front, near the navigator's station, even the floorboards had been ripped out! EDIT: using the power of my 400 mm anti-aircraft Canon ( 😀 ), I’ve also managed to nail Zadar’s 71203 at extreme range while at the base during the Open Day. Distorted by heathaze, it isn’t up to my usual standard, but for now it’ll do :). 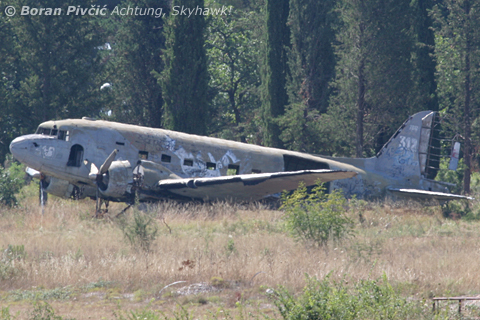 I like your photos and there is no need to apologize for cropping a photo … it’s what ‘s needed to get the shot and it is a godo one as it shows the DC-3 in its current context. 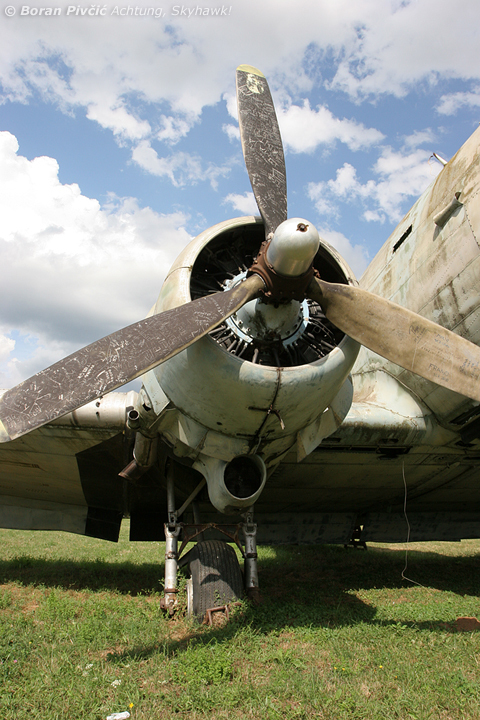 Like the An-2 you wrote so well about this aircraft also has been in service for a very long time — 65 years I think. And, like the Colt, it continues to provide commercial service. 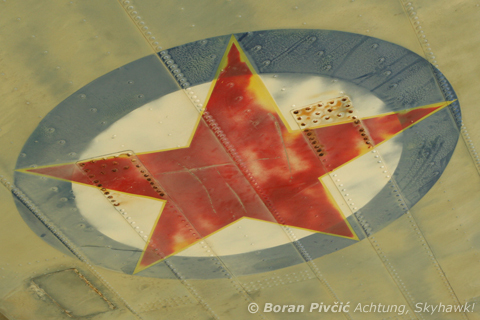 Indeed, the DC-3 is a fantastic aircraft. 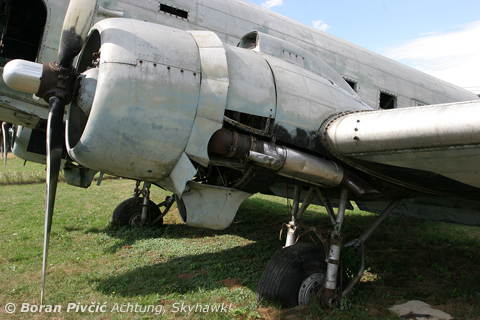 During my research for this YuAF Dakota series, I’ve found out that three of them are still flying in South Africa, two as BT-67s. 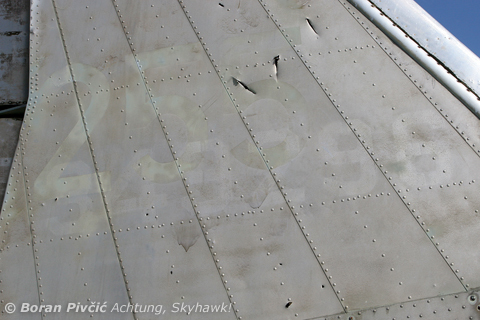 Produced during WW2 and still flying in the 21st century – that is really hard to beat! 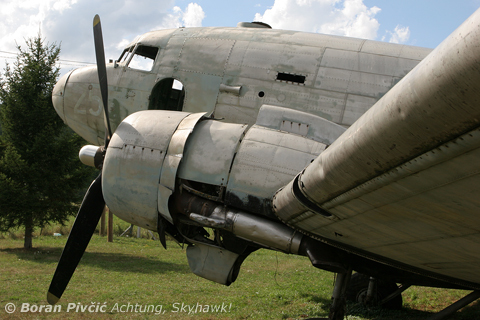 The one thing I’ve never been able to live down is that I’ve only ever seen three examples in flight… an unmarked DC-3 sporting a N-number at the Paris Airshow, the Breitling C-47 and the Goldtimer Foundation’s stunning Lisunov Li-2, the only one flying today… but I hope that will change! 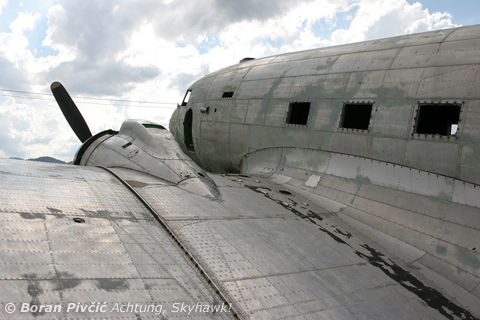 We live in opposite hemispheres – I’ve seen DC-3s fairly often but only three Colt’s (all of them as static displays). I’m no expert but there are several at the Opo-locka airport near Miami Florida and airliners.net indicates that manty are flying commercially in Alaska. In Florida we aerially apply inspecticide to keep the mosoquito populations down and a few counties here use DC-3s for that as well. The beginning of a TV show here called Burn Notice has a clip of a DC-3 flying out of Opa-locka — that one is a commercial operation between that airport and destinations in the Bahamasas. 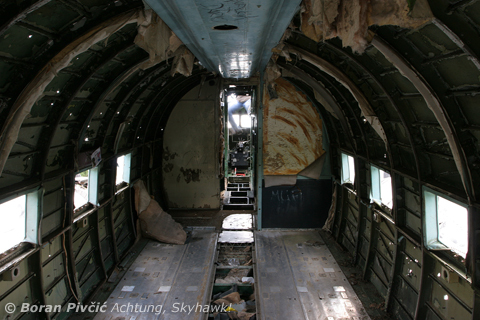 There are a air of turboprop DC-3s that fly out of Ft. Pierce to Haiti regularkt as well. So they seem to not only be around but here to stay, I guess. 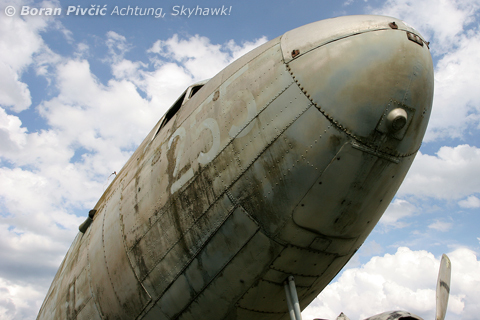 Pingback: Dakota Update – 71255′s Identity Revealed « Achtung, Skyhawk! 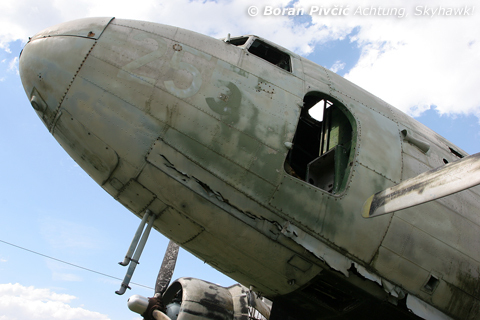 Went past that DC-3 yesterday on my way from Plitvice to Pula but unfortunatelly could not stop. Today google’ing it found this post! Well done! 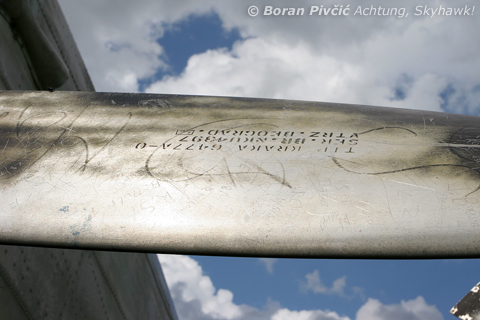 Great shots and background info of the aircraft! When is the next Open day in Zadar? Thanks! 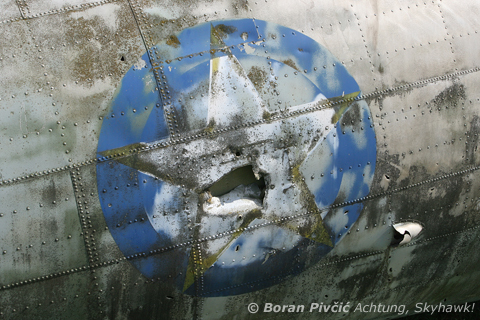 I expect to do a similar, fairly detailed report about the one at Željava airbase soon, so that too may dig up something interesting :). As for the Open Day, there’s still no official word out, but we expect it to be held sometime in August. Drove past this on 16Mar16 and it looks exactly as depicted above! Well done – thanks!